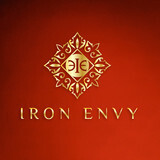 Iron Envy L.L.C. is a family owned and operated business in McKinney, Texas. The company was founded when its owners were in the market for a custom wrought iron door for their own home and found the overall industry to be lacking in quality products and experienced very poor customer service. As previous customers ourselves, we came to understand the challenges in this industry and sought to establish an ornamental wrought iron company committed to producing beautiful high quality products with service and pricing that will exceed your expectations. We are proud to serve residential homeowners, builders and small businesses to provide the best quality wrought iron doors on the market today...and at a better price. At Iron Envy, honesty and integrity is the cornerstone of our business model so you can rest assured that we will deliver what we promise. Interested in our current inventory or designing your own custom iron door? We can ship you a fabulous new iron door to anywhere in the continental US or Canada! Call Now For A Free Quote. Ironclad Doors and Fireplaces is a family owned and operated business, located in the heart of the Dallas/Fort Worth Metroplex, and serving the Amarillo/Texas Panhandle region. With over 11 years in the industry, we have extensive professional experience in both residential and commercial projects. Choose from any of our designs or let us custom design something specially for you. At Ironclad Doors and Fireplaces we know how much an elegant custom iron door, fireplace, or gate can enhance the beauty of your home or business, with out compromising functionality. Each of our designs is developed using advanced drafting software and is expertly hand-crafted by skilled artisans. 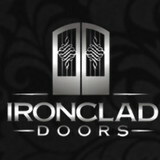 Ironclad Doors provides the highest quality doors, fireplaces, and gates at the absolute best price, while combining both professional and reliable services with a superior product. We guarantee that you will receive personalized attention from project inception to project completion. This is our Ironclad promise to you. Contact us today to get your project started. At Designer Door and Window, we consider ourselves to be home improvement experts. Our staff has over 90 years of combined experience in this industry making us more than qualified to answer all of your questions – from the simplest to the most complicated. We know that there are hundreds of products on the market to choose from and that making a decision between them can sometimes be overwhelming. Unlike some of our competitors, we don’t put pressure on our customers to buy RIGHT NOW through one day sales and “promotional” opportunities. Instead, we offer a no pressure environment designed to make the process of finding the right door, and window products as simply and stress free as possible. We believe that an educated customer is a happy customer. That’s why we encourage our customers to take time to visit our 2,700 square foot showroom in person. You can walk around, consult with our experts, and actually see and touch the items you’re considering purchasing. If you don’t see exactly what you’re looking for, we can help you customize a product to fulfill your vision. 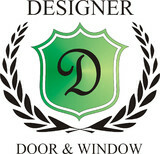 Designer Door and Window wants you to be our “customer for life”. We believe in earning your trust and, eventually your business by helping you make the most well informed decision possible. Visit us today and experience the difference! When considering the cost of repair or replacement, there are a few important factors, size and composition are a couple of the most important. New door pricing can vary from as little as a few hundred into the thousands. We will do our best to balance your needs with your budget to give you the best possible value for your money! When trying to determine if you need a new door or your existing door can be repaired, there are a few important considerations. Door repairs can be done often resulting in significant savings over replacement. Sometimes, though, replacement is the only viable option. We will give you an honest evaluation and make professional recommendations to fit all of your needs. Whether considering a replacement, or repairing an existing door to correct leaks, settling or deterioration – DFW Door Repair will provide exceptional service and craftsmanship. At Lone Star we manufacture and sell the highest quality iron doors. Our artisans and craftsmen design and create ornamental wrought iron entry way doors of unmatched quality, elegance and security to enhance the beauty of your home. These Artisans and Craftsmen have been crafting beautiful doors for over 25 years. Lone Star Iron Doors are built to last a lifetime with minimal care and offer beauty and security throughout. Your purchases are protected by a 5 year conditional warranty. Our commercial 14 gauge steel makes a heavy duty door that will endure for years and provide lasting elegance. Take advantage of exceptional pricing and quality from Lone Star Iron Doors. We offer a high-end product that is priced competitively. Our streamlined process delivers a superior finished product in a timely and reliable fashion. Please call to request a quote to give your door a makeover, fix broken window latches or replace worn weather strip..
Sol Solutions sells Low-E vinyl windows and patio doors. We have partnered with local manufacturer to provide the best windows & doors for your home. Our award wining factory certified installers ensure your windows & doors are installed correctly and meet all manufacturer guidelines. Contact us and set up “Free In-Home Estimate”. We hope this information will give you a better insight into TDT and how we can best serve your millwork needs. We eagerly look forward to beginning a long and mutually beneficial business relationship with your company. Scope of offerings: Moulding: TDT offers a full line of moulding items from paint grade standard profiles to custom run profiles in any species of wood. TDT is also a proud dealer of White River ornamental mouldings; please ask us how White River can help set yourself apart from your competition! Interior doors: TDT offers interior doors from multiple manufacturers, including Masonite, Trustile, and many others. TDT can also build any style/species of custom door to your specifications. Exterior doors: TDT offers exterior door from manufacturers such as Masonite, Rouge Valley, Buffelen, Simpson, Moulding Associates, Glasscraft, Castle Doors, WMI, as well as custom designed exterior/entry doors from our custom mill. In addition, we also offer exterior doors from Andersen. Windows: TDT is proud to announce the addition of our full time window specialist! Represented manufacturers include Andersen and Parrett. We offer all types of windows from fibrex to the highest end custom wood or aluminum-clad or vinyl-clad windows. TDT also offers exterior bi-fold and sliding pocket-door systems to make your project the envy of the neighborhood. Stair parts: TDT offers a full line of wood and metal stair parts to achieve any design you require. Custom wood species are available. TDT boasts 80,000 square feet of warehouse/distribution space. TDT delivers your material professionally and on time with our fleet of modern delivery vehicles, while providing full service to any needs, both interior and exterior. Our professional sales staff has an average of 15 years experience and has access to over 100 years of combined experience throughout the company. 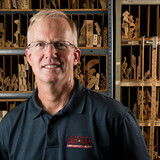 Our sales staff will work with you and your customers to provide solutions for any and all millwork needs. Please contact us for more information on how Texas Door and Trim can improve your building experience and may better serve you. 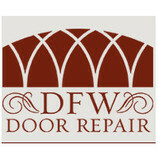 Southwest Door & Window is the ideal solution for exterior doors and windows in Dallas, Garland, Plano, and McKinney, TX. We sell vinyl windows, hardware sets, entry doors, iron doors, wood doors & patio doors. We are your source for doors, replacement windows, and new construction windows in the Dallas, TX area. Call us today at (214) 341-2212 for your free quote. Let our knowledge and experience provide you with the very best the window and door industry has to offer. Treasure doors is a family owned company that delivers the most satisfying services to your household. We deliver to almost all the cities in the United States. The doors are fully insulated and come ready to install, complete glass, doors sweeps, threshold and weather stripping. We have over 100 designs in stock for you to pick, and you can see them in seconds by going to our website. We can also customize your doors. This is what make these doors better than any others: - Build with 14 gauge steel - Double pane tempered, fully insulated glass - Weather strip - Threshold included - Doors sweep - Filled with polyurethane - Hand crafted Whether you have a home that is new construction or a remodel, let us be that company for you! What kind of services do Denton door dealers provide? Door dealers are responsible for a variety of services, including door installation, replacement, door repair and custom door design. If you need a new door, Denton, TX door dealers will help you determine what kind you need, as well as shape, color, size and more. From barn doors to French doors to front doors, these professionals can help you choose, install and maintain your door investments. Wood doors are beautiful, versatile and tend to be the most popular choice for both interior and exterior doors; they are easy to custom build, and include oak, cherry, walnut, mahogany, maple, fir and pine. Some standard wood doors have MDF cores wrapped in wood veneers, which minimizes the chances of warping as real wood expands when wet and contracts when dry. If your heart is set on a wood door but you think the Denton, TX climate might cause it to warp, talk to your door professional about a furniture-grade veneered door. Aluminum doors have an insulated core and come in a variety of colors and finishes. With a baked-on enamel finish, they won’t rust or need repainting, and many come with a 20-year warranty. Next to wood they are the most expensive and have to be custom-made. A Denton, TX door dealer can help you find a reputable aluminum door manufacturer. Find door dealers and installers in Denton, TX on Houzz. Look in the Professionals section of our website and search for Denton, TX door dealers and installers. Read reviews, look at project photos and see how a pro can help with your home improvement project.